Soft, comfortable, cotton rich and perfect for secret sock-wearing, Levis 168LS Plain Cotton No Show Socks offer protection and moisture absorption for when you want to go sockless, but prefer a barrier between you and your footwear! The combed cotton socks are constructed with woven-in arch support bands and low compression tops, with air flow vents for added breathability. Anti-slip ‘Levis ‘batwing’ shaped silicone grips are placed inside the heels to maintain their position, whatever your activity, while durability is encouraged with reinforced toes and heels. 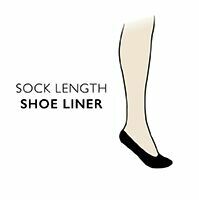 Rubbing is kept to a minimum as well, with hand linked toes for smooth seams.